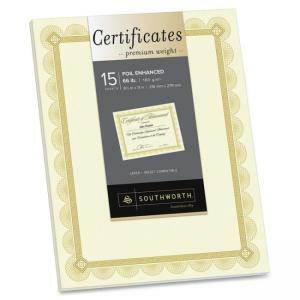 Premium-weight, foil-enhanced certificates will express true appreciation of the exceptional service of the recipient. Foil-enhanced, Spiro border design gives substance to the most deserved awards. 66 lb. ivory paper is acid-free and lignin-free and made with an elemental chlorine-free process for archival quality. 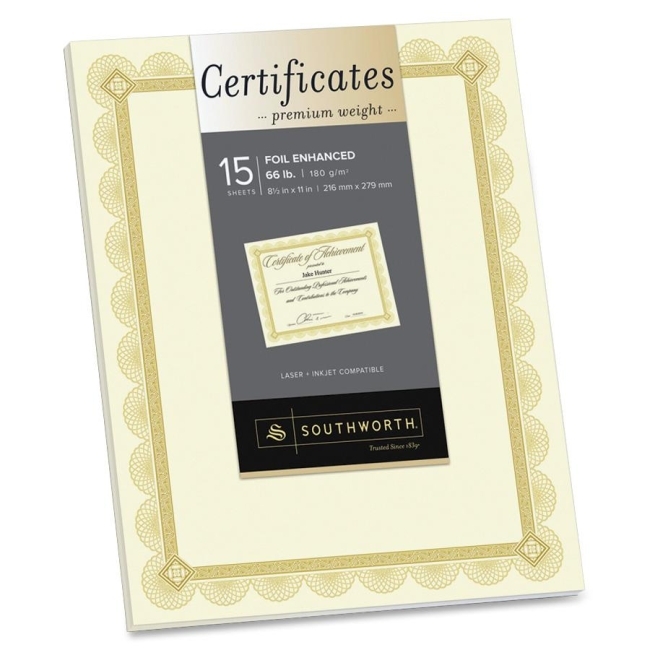 Paper is compatible with laser and inkjet printers so you can customize the certificates with individualized text and graphics.